Work from home jobs at Amazon are nothing new. The company has been hiring home-based employees for years and we continue to see the opportunities grow! Amazon has a page devoted to its work from home jobs. At the moment there are 196 virtual positions listed. They include Project Managers, Staffing, Tech, Account Managers, Inventory Control, Sales, and many other positions. Click here to see all positions. 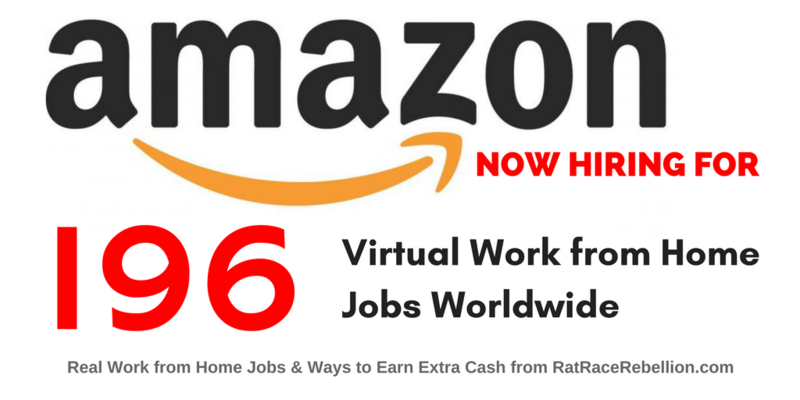 Watch our VIDEO TUTORIAL and learn how to find even more work from home jobs with Amazon. This entry was posted in Hiring Companies, Work at Home Jobs and tagged Amazon. Bookmark the permalink.